Step 1: It is suggested that you make sure your BIOS is up-to-date before you try such an upgrade. This is based on some changes in the latest kernel releases which can conflict with older BIOS firmware. Step 3: Press Alt-F2 and type gksu "update-manager"
Step 4: Click the Check button to check for new updates. Step 5: A message will appear informing you of the availability of the new release. 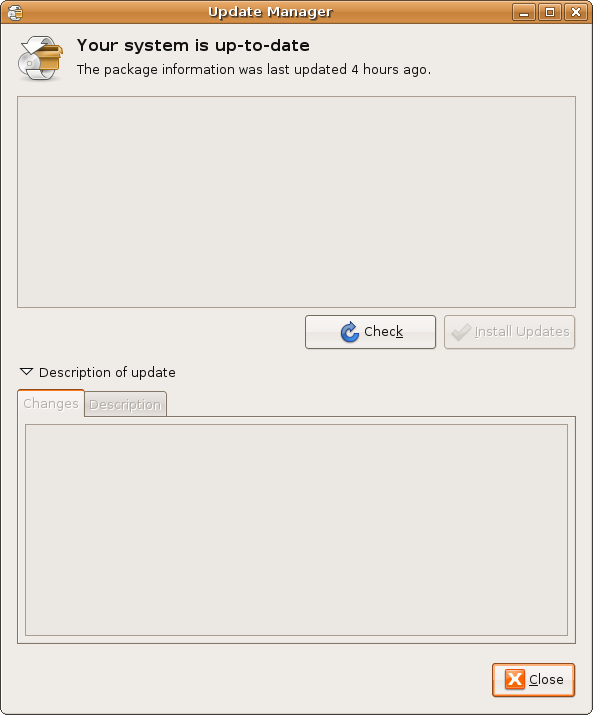 Step 7: Follow the instructions as the Update Manager utility will walk you through each step of the upgrade. You will still have a chance to back out after clicking Upgrade if you feel you’re not yet ready. Just wondering – can you upgrade from 6.10 server to 8.04 server? 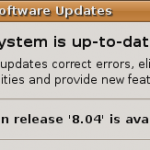 @SaumZ – upgrades to 8.04 can be done from Ubuntu 6.06 or Ubuntu 7.10 directly. If you’re on 6.10 I would suggest 1) a fresh install of 8.04 or upgrading step-by-step to 7.04, 7.10 and then 8.04. Well, that does nothing for me. I have been trying to cope with this Hardy disruption for days. I am pretty angry. Thanks for trying though. I think I have an old scuffed-up disk of xubuntu-edgy, what it lacks in auto-focusing timezone selection it more than makes up for by actually working. No, DON’T use the -d switch! That means check for development releases. You don’t want that. Heron wasn’t offered for me. It suggested I go the step by step method to Edgy first.